This month our featured 'Real Wedding' couple is Hannah & Steve, who were married a couple of years ago at Llyn Gwynant Campsite in North Wales. 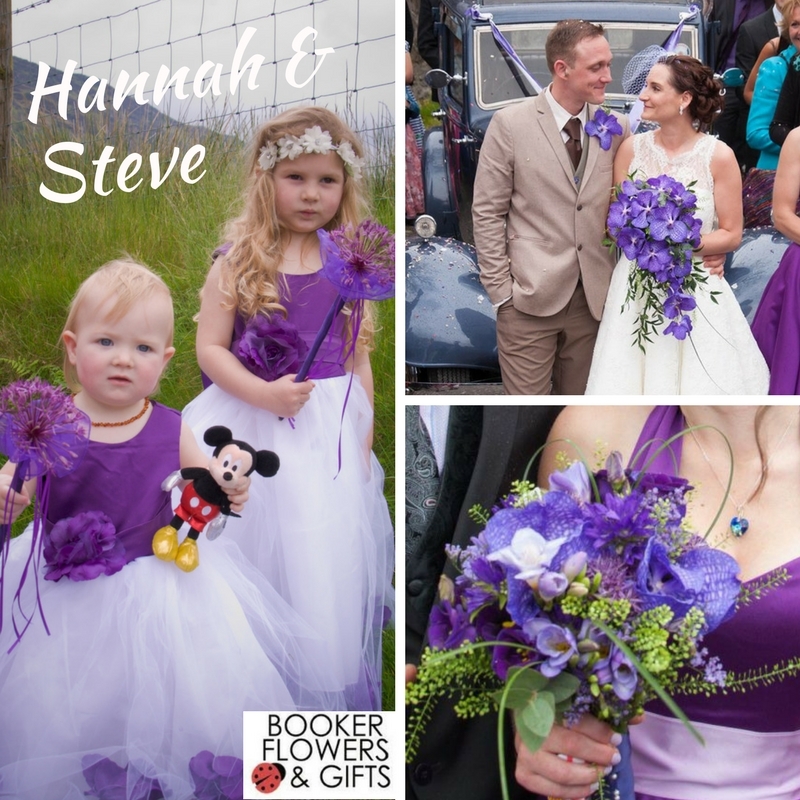 Hannah decided on a striking vanda orchid wedding bouquet and a matching buttonhole for Steve. The Bridesmaid's hand-tied bouquet also featured vanda orchids together with a mix of wild flowers and the two flower girls carried allium wands, also in striking purple. 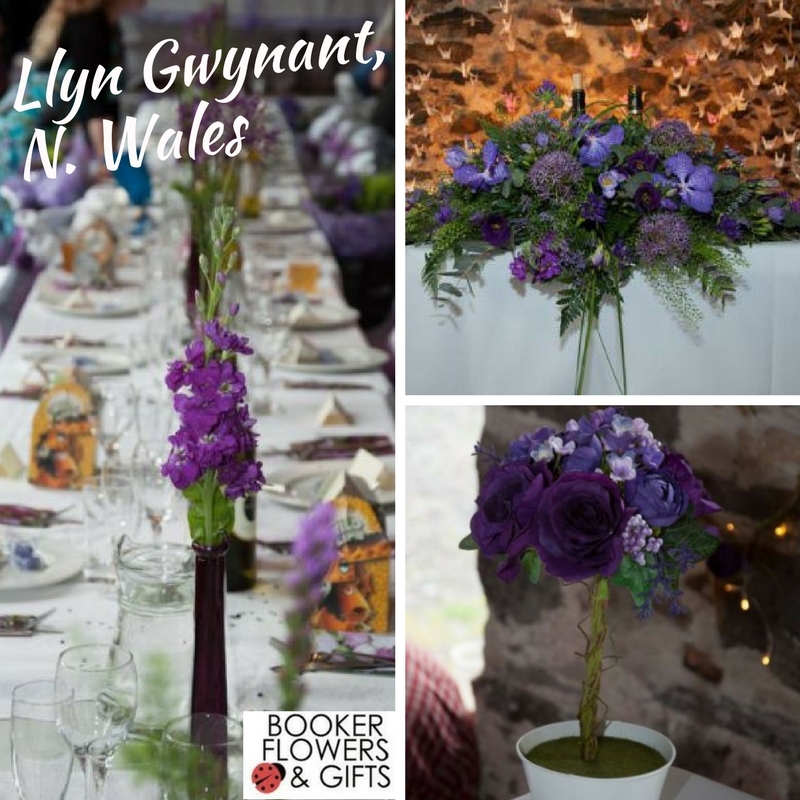 The wedding venue was a picturesque barn, surrounded by fields and overlooked by a lake, therefore the venue needed stunning flowers to match and this was achieved with vase arrangements, topiary trees and a top table arrangement, which complemented the venue perfectly. To see more photos of Hannah & Steve's gorgeous flowers, check out their Wedding Flowers gallery. All the pictures on our website are from real Weddings, so if you want some further inspiration or would like to read our Bride's testimonials (like Hannah's below) then check out our Liverpool Wedding Florists website.